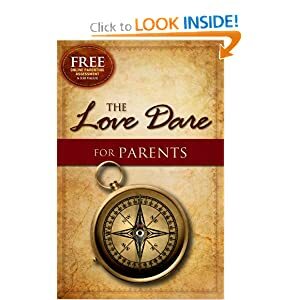 From the authors of international best-selling marriage book The Love Dare comes The Love Dare for Parents , a 40-day journey of “dares” challenging one or both parents to understand, practice, and communicate Christ-like love to their children. Parents, take the dare for just $14.99! I have read and practiced the Love Dare for Couples in the past and found this book to be a great book to read and share with my spouse. In reading through this book I have to say that the authors have done a great job again in putting together a book that will allow you to learn and grown as a couple (if you are a two family parent unit) while being better parents to your children. The book has some amazing things within it that will help you in better parenting your children that are both practical in nature and spiritual as well. The book allows you to gain a better understand for what your role is as a parent, not only in the eyes of your children =, but also in the eyes of God. This is a book that will challenge you while motivating and encouraging you to do and be a better parent. I know that I learned so much and am still learning as I go through the 40 day journey myself and you will too!